This is such a huge subject it is hard to know where to begin. Every living thing on this planet needs oxygen to survive, therefore pollution affects us all. WIKI has a lot to say about it. We may veer a bit off-track sometimes … but bare with me, it’s all connected. DANGERS TO HEALTH: communities in developing countries; respiratory problems caused by burning wood to cook… and the solution. Rather than burn wood, harming humans and the environment, an alternative would be to make low temperature charcoal from discarded wood / fallen branches etc. Here (below) is a great video that discusses an alternative approach to actually avoiding pollution instead of wantonly creating it. I don’t necessarily agree with the concept of renting household products but it could easily work with larger items such as cars that often go unused for most of the time. What I would like to see, is that factories are forced to show some corporate responsibility, and are obliged to take back goods at the end of the product’s life, so that all parts could be recycled in one form or another and reused. I should think there are enough materials on the surface of the planet now for us never to have to dig for minerals again. In addition we could reduce our (corporate fed) need for consumerism. Then all we have to do is stop using fossil fuels and we will be on the right track. Anyway, watch the movie and feel free to give feedback, I’m sure there will be many different views about it. Is pollution a modern problem? Yes and No! As far back as 1272 King Edward I of England banned the burning of sea-coal in London because of smog. As a kid growing up in Liverpool I remember ‘pea-soupers’ where you walked to school along the gutter because you couldn’t see your hand in front of your face. Bus drivers had to have a ‘red lantern man’ walking along the gutter in front of the bus to get people to work. 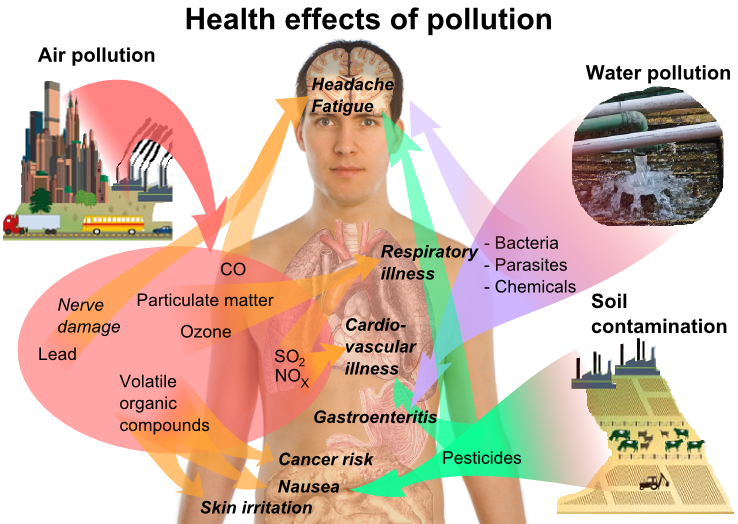 Pollution has of course become much worse since the Industrial Revolution; it always does. It was much the same for America before they enforced the Clean Air Act. CLICK HERE for a very revealing photo montage of how it was ‘back then’ in the US. As we have seen in the news, China is having the same pollution problems now due to its burning of coal for energy. Tai Chi or Where’s my Hand? It has to be said, China are currently expanding their clean air policy, but is it too little – too late? URGENT: BRISTOL BAY NEED YOUR HELP TO SAVE THEIR FISHERIES. Take action now! CARS & … how many were produced in the last year? how many cars are there in the world? CARS ARE THE BIGGEST POLLUTERS, RIGHT? WRONG: THIS SHOCKING ARTICLE SHOULD MAKE YOUR HAIR STAND ON END! This industrial monster requires a massive 14 cylinder, 109,000 horsepower diesel motor that consumes 1,660 gallons of heavy crude oil an hour even at its most efficient setting. There are 90,000 such monsters traversing the world at any one time! The Union of Concerned Scientists: Democrats and Republicans. Coming together on common ground to put an end to CO2 emissions and climate change. Watch the video before reading on. having said that … cars are a major contributor to CO2 gas emissions and inner city pollution. But we need cars so we have to put up with pollution, right? Wrong! WHO KILLED THE ELECTRIC CAR? would be a good place to start to find out why we don’t have 100% electric cars on the road right now. In addition to that, you could read about a famous yet repressed scientist who gave us ‘free energy’ way back in the 1920’s. His name is Nikola Tesla. Debate rages on about Nikola Tesla’s free energy devices but there is no disputing that the man was a genius way ahead of his time. “Nikola Tesla was a multi-disciplinary genius. His discovery of the rotating magnetic field in 1882 lead to a series of US Patents in 1888, which gave us the AC electric power system still in use today. This one achievement earned him the honor of being called “The Man Who Invented the 20th Century”. Here are a 10 Tesla inventions that changed the world. Q But what’s this got to do with pollution? What about Nikola Tesla and HAARP? Just what is HAARP? There are continuing heated debates and conspiracy theories about HAARP and whether it causes earthquakes, global warming, change in weather patterns and potential pollution from fallout. You can read more about HAARP here, do some of your own research and make your own decisions. Never heard of it? Doubt it even exists? The official government HAARP site is here. Another hotly debated pollution topic is that of chemtrails. The chemtrail conspiracy theory holds that some trails left by aircraft are chemical or biological agents deliberately sprayed at high altitudes for purposes undisclosed to the general public in clandestine programs directed by various government officials. Research scientist Clifford Carnicom asserts that virtually every breathing organism is an unwitting participant in a massive biological experiment of unknown purpose. In fact, the Patent Application for the Stratospheric Welsbach seeding for reduction of global warming (chemtrail) system, can be viewed here. So, the system itself – chemtrailing – can hardly be denied. The question remains then, what is being sprayed and why the denial and secrecy? Was Hurricane Sandy exasperated by chemtrail dumps? Watch this video and see what you think. “…the report also reveals details of the DICE trials in south Dorset between 1971 and 1975. These involved US and UK military scientists spraying into the air massive quantities of serratia marcescens bacteria, with an anthrax simulant and phenol…” Test centre based at Porton Down. The Guardian. The very fact that the British government saw fit to arbitrarily and continuously spray millions of its subjects with a variety of toxic chemicals without permission is in itself an abhorrent and indefensible act of staggering contempt and belligerent disregard for the health and safety of the hapless public. Who knows what ailments, birth defects, diseases these chemicals caused? Certainly not the British public. WHO ARE THE WORLD’S LEADING POLLUTERS? WHO ARE THE BIGGEST POLLUTERS PER CAPITA? WHO IS SPENDING MORE ON CLEAN ENERGY- THE US OR CHINA? That wasn’t the case in China, which saw investment in clean energy hit a record $67.7 billion last year, up 20 percent from 2011, largely due to a surge in its solar sector, according to a year-end report by Bloomberg New Energy Finance. “The trigger for leadership here to think about switching to renewable energy is one that is also driven by the legacy of this country being an energy player on the world stage. For five decades we’ve been producing hydrocarbon resources. Yes, we still have substantial reserves with us, but inevitably they’re going to diminish.” What a great initiative from one of the world’s leading oil producers. 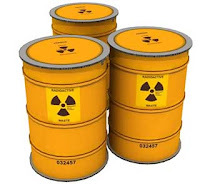 The problem is that nothing we encase nuclear waste in will ever last anything like 3 million years. It safely be assumed then that we are leaving a horrifying legacy of toxic disaster for future inhabitants of this planet on a scale hitherto unseen. Literally, a ticking time bomb waiting to happen. WIKI ANSWERS also has some interesting data on the subject of nuclear waste. In response to questions about nuclear waste, Gordon Edwards responded, “the questions posed are good and sensible ones. Unfortunately there are no equally good and sensible answers.” A collaborative US-Japan research organisation. WHAT ARE THE EFFECTS OF NUCLEAR RADIATION ON HUMANS? GOOGLE IMAGES of birth deformities caused by radiation and other inputs. Warning: harrowing pictures. HAS THERE BEEN ANY NUCLEAR TESTING SINCE WW11? YOU ARE NOT GOING TO BELIEVE THIS, TRULY. Nuclear testing by country This is a ‘must see’ site packed with statistical information, dates, locations, graphs and links. Various others in India, Pakistan & North Korea make up the rest. I only recently found out about this nuclear testing during my research into pollution and I am still reeling with shock. Given the amount of testing, it really begs the question, “what effect do atomic explosions have on pollution, climate change, earthquakes and other ‘natural’ disasters. Why isn’t this in the news? Why don’t we all know about this? I don’t have the answers, but I do have some information on where they were tested. In 1951, the first Atom bomb was detonated over a section of desert called Frenchman Flat, about ninety miles northwest of Las Vegas. For more than forty years, this stretch of sage brush and sand would become ground zero for U.S. nuclear testing. In fact, the last detonation happened just fifteen years ago, on September 23, 1992. Since the early 1990’s, independent producer Claes Andreasson has interviewed test site workers, scientists, legal scholars and test officials, as well as people living “downwind” from the Nevada Test Site. “Dirty Harry: When the American Dream became a Nightmare” is a culmination of those interviews. …and finally, how much does all this cost? Between 1940 and 1996, the U.S. spent at least $8.63 trillion in present day terms on nuclear weapons development. Why post a clock of the US national debt? What’s the point? Because if the US had spent a fraction of this $16 trillion dollars leading the world in clean energy technology, instead of going to war with other countries, we wouldn’t have a global pollution problem now. This is the dollar cost and does not, could not, equate what nuclear testing has cost planet earth from all ‘contributors’. I’m sure that any objection would be met with a platitude that “all tests were done under the strictest of safety conditions and were essential in the interests of national security,” from all parties involved. HOW MUCH POLLUTION DOES WAR CAUSE? The greenhouse gases released by the Iraq war thus far equals the pollution from adding 25 million cars to the road for one year says a study released by Oil Change International, an anti petroleum watchdog. The group claims Iraq war emissions estimates come from combat, oil well fires, increased gas flaring, increased cement manufacturing for reconstruction, and explosives. LIFT THE VEIL is a much watch documentary; “it is the long overdue film that powerfully, definitively, and finally exposes the deadly 21st century hypocrisy of U.S. internal and external policies,(leading to war and pollution) It imbues the reader with hope to bring about real systemic change while there is yet time for humanity and this planet. It would seem the best solution is to not create nuclear waste, or the threat of global pollution from war and atomic bomb(s) fall-out, in the first place. 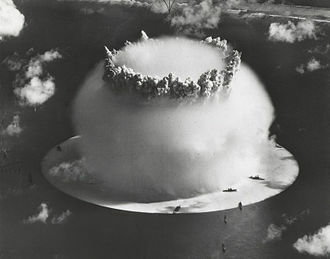 “an unparallelled catastrophe” – nobody really knows the long term effects of the pollution caused by an all-out atomic war, or how long it would take before the planet was habitable again, but you can get a very good idea by reading this article. You can forget cars, airplanes, ships and factories. A global nuclear war would be the biggest and worst single polluting factor our planet has ever seen and one which would take untold years to recover from. Meanwhile, the few million that may survive would face a life of unparallelled plague, sickness and misery. The water, the air, the soil and any plant life or animals would be contaminated with cancer causing radiation, leading to grotesque deformities in newborns for many generations to come. The very lifeblood of the planet you need to survive would be killing you. Still think going nuclear is a good idea? Ask yourself this question: Do you trust your government to act responsibly with its nuclear warheads? 100% ? But what would we do without nuclear energy? What are the alternatives? It is said that there is enough geothermal power underground to last planet earth for another 1,000,000 years. Is this true? So… if there is all this non-polluting, ecologically friendly, economical energy out there that would put the damage into reverse and save the planet from inevitable and irrevocable destruction, as we are already witnessing today, why are we still burning fossil fuels? Don’t know, you’d have to ask the rich oil & coal barons about that one. …is one of the worst disaster known to mankind, and is still ongoing. At its peak Lusi spewed up to 180,000 m³ of mud per day. By mid August 2011, mud was being discharged at a rate of 10,000 m³ per day. This was a significant decline from the previous year, when mud was being discharged at a rate of 100,000 cubic metres per day. It is estimated it will continue gushing toxic mud for another 30 years. It is the biggest mud volcano in the world, created by the blowout of a natural gas well drilled by PT Lapindo Brantas, Company officials contend it was caused by a distant earthquake. In August 2012, geologists stated definitively that the Sidoarjo mudflow was caused by drilling operation misconduct, which only used a quarter of the height of drilling wallpipe, strictly in violation of industry standards, and was not caused by a distant earthquake almost 300 km away. Despite a network of dams and barriers having been erected to contain the flood, as of February 2007 the mud was up to 10 m thick, with an estimated volume of 12 million cubic metres. The enormous quantity of mud has so far buried 4 villages and 25 factories, some of which you can see here, barely protruding above the surface. BIG QUESTION: Why aren’t any of these executives facing criminal charges? While natural disasters can do much damage and devastation, some of the worst environmental disasters in history have been caused by people. Some are accidental. Some are speculated to be the work of government conspiracy. The 33 disasters on this list are ordered chronologically starting with the most recent, though they could be grouped by type. Moreover, the repetition of disaster types supports the argument that humans have failed to really learn from past mistakes. If this argument is correct, we may be adding another disaster to the top of the list fairly soon, but for now, here are our top picks among some of the world’s worst man-made environmental disasters. HOW MUCH DOES THE US SPEND ON GREEN ENERGY? Tallying just how much cash went to green projects isn’t easy. The government website that tracks stimulus spending lists 27,226 individual awards under the “Energy/ Environment” section, totaling just shy of $34 billion. HOW MUCH DOES THE US SPEND ON WAR? For the 2011 fiscal year, the president’s base budget of the Department of spending on “overseas contingency operations” brings the sum to $664.84 billion. As of June 2011, the total cost of the wars in Iraq and Afghanistan is approximately $3.7 trillion so far. So what can I do about stopping pollution? This year our governments will hand nearly hundreds of billions of dollars in government subsidies to the coal, gas, and oil industries — six times as much money as we invest in renewable energy. Ending these subsidies could actually take a giant step towards solving the climate crisis, save gigatonnes of carbon dioxide emissions and help make clean energy cheaper than fossil fuels. There are many ideas HERE you can try out at home to reduce pollution. Every little helps. Or just Google ‘energy saving tips’ for tons of ideas. Revolutions that Made the Earth: This book places humanity in context as part of the Earth system, using a new scientific synthesis to illustrate our debt to the deep past and our potential for the future. Amazing Technology that could help to prolong the life of products. Is this the new Teflon? Solutions for Saving the Planet and Humanity: by Phil for Humanity: includes a free ebook and links to other popular articles. SHOP ECOLOGICALLY: some great eco consumer products here – I love the ‘GYO mushrooms’ idea. Don’t forget – you can grow your own greens in discarded water bottles. IS CANCER AND PESTICIDE RELATED? The Guardian report did not include a study on cancer related to pesticides and herbicides, but has been included here and below. 12.6 million are diagnosed annually with cancer around the world. 7.5 million people die from cancer every year. Cancer was the cause of 14% of total deaths globally in 2008. U.S. citizens killed each year by rifles is notoriously high, but according to the figures, still less than pesticides. Cancer was the cause of 14% of all deaths around the world in 2008, the year for which there are the most recent comprehensive figures, but the rates varied enormously from one region to another, from 5% in Africa to 21% in the western Pacific. More than a quarter of all deaths in the UK – 27% – were from cancer. Cancer Research UK (Cruk) and the International Agency for Research on Cancer (IARC) an arm of the World Health Organisation, are releasing their report as the first United Nations summit opens in New York on tackling the killer diseases that every nation is now having to confront: heart and lung diseases, diabetes and cancer. These so-called “non-communicable diseases”, which have all taken off as sedentary lifestyles, junk food, smoking and drinking have spread around the planet, are already a massive burden on rich countries and are steadily becoming one in poorer countries, too. “Vegetables and fruits finding their way to Delhi markets are a toxic cocktail capable of causing cancer, heart disease and infertility and posing a risk to nervous system and liver.” Report on pesticides and food in India. WHAT ABOUT SOME COLD HARD FACTS? But given the fact that cancer is on a rampant rise, along with the heavy use of pesticide, herbicides and fertilisers in industrialised farming, doesn’t that make alarm bells ring in your head? Read on. First hand information: when I worked on a station (ranch) in Australia, one of the tasks was to tend to the ten acre apple orchard. In the shed was a selection of around 10 pesticides in 5 gallon drums. Each drum was clearly marked DO NOT MIX WITH OTHER PESTICIDES as the toxic effect of such a mixture was unknown – and still is. But what did we do? Yup, you guessed it. Took an empty 5 gallon drum and mixed a little from each drum into it, sloshed it around,, poured it into the pressure sprayer, went off and merrily sprayed the trees. This was over 20 years ago, I was concerned then; on hindsight, I am horrified today. It is probably hasn’t changed. And this folks, is why you should always peel an apple or buy organic or, best bet, grow your own. I don’t know why people stopped the practice of growing fruit trees in their back gardens. Grow fruit trees folks! If you did a survey of 1 billion people, how many do you think would say that pesticide on your food is actually good for you? Yeah … that’s what I thought. They usually involve a small number of people. This makes it more likely that their results are down to chance. It is difficult to work out the amounts of pesticides that people were actually exposed to. Most studies estimate exposures based on a person’s job. Others ask people with cancer to remember whether and how they used pesticides in the past. Their answers might not be accurate and may have been influenced by different factors. The results from different studies are not consistent. Costa Rica uses pesticide in a deadly quantity of around 52 kgs per hectare. It is followed by USA with around 48.6kgs per hectare on an average. Unconfirmed source taken from a blog. ARE PESTICIDES RELATED TO CANCER ? 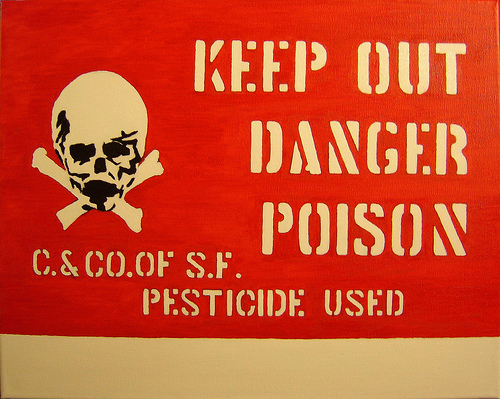 DO PESTICIDES CAUSE BIRTH DEFECTS? Moderate to high Pearson’s correlation coefficients ranging from 0.36 to 0.81 were observed among pesticides sales in eleven states in 1985 and further reproductive hazards during the nineties (Table 3). Statistically significant correlations were seen for breast cancer mortality among women 50-69 yr. during 1995-1997 (r = 0.81, 0.41-0.95), women 40-49 yr. (r = 0.66, 0.10-0.90), ovarian cancer mortality (r = 0.71, 0.19-0.92), and a borderline result for sperm evaluation rates (r = 0.60, -00.1-0.88). BUT IF PESTICIDES CAUSED CANCER THE BIG CORPORATIONS OR THE GOVERNMENT WOULD STOP IT, RIGHT? HOW DO I DEAL WITH BUGS WITHOUT PESTICIDES? There’s been a lot of talk just recently about the codex alimentarius. But just exactly what is it? For: The government says it’s good for you. Against: Public sector say government control of food is a bad thing. Codex is one forum in which the genetically modified (GM) food battle is being played out, between the United States, Canada and Argentina on the one hand, and Europe on the other. Europeans have been resolute in their opposition to GM foods, despite a more recent softening of the stance of governments and trade bodies. THERE IS NO DIFFERENCE BETWEEN ORGANIC AND NON ORGANIC CROPS. Given the choice between having a salad that was generously sprayed with pesticide and one that was not, I wonder what choice Ms Smith-Spangler would make? Worth noting: “Many of the studies didn’t specify the standards for what constituted “organic” food and only 200 studies were done against a population of 300 million. Q: JUST HOW MUCH PESTICIDE DOES THE US USE ANYWAY? Use of organophosphates continues to decline, and this definitely is a good thing, as these are among the most acutely toxic pesticides still used. But 33 million pounds is still 33 million pounds too many, and despite the decline these neurotoxins are still detected in the bodies of most Americans (see the CDC’s National Report on Human Exposure to Environmental Chemicals) and commonly found on our food. NOTE: there are many photographs on the net portraying infants / children with dreadful deformities purporting to be related to pesticides and cancer. They are far too disturbing to post on this blog. The company manufactured controversial products such as the insecticide DDT, PCBs, Agent Orange, and recombinant bovine somatotropin. Monsanto was among the first to genetically modify a plant cell, along with three academic teams, which was announced in 1983, and was among the first to conduct field trials of genetically modified crops, which it did in 1987. It remained one of the top 10 U.S. chemical companies until it divested most of its chemical businesses between 1997 and 2002, through a process of mergers and spin-offs that focused the company on biotechnology. SOME CONFIDENTIAL FACTS YOU MIGHT NOT WANT TO KNOW: MONSANTO GMO CORN IS NOW BANNED IN RUSSIA ! My thought: we might be able to manufacture cabbages by the ton, but all the spice and variety would go out of food. Or scroll down to But what can I do? Cruk has high hopes of the summit, which is intended to focus the attention of government leaders on ways of preventing as well as treating the new scourge. “While it is clear that tackling cancer worldwide will remain one of the major challenges in the 21st century, this high-level meeting will finally put cancer on the global agenda, providing the biggest and best opportunity to drive forward major changes in this area,” says its report. Worldwide, men are more likely to get cancer than women – 204 out of every 100,000 men and 165 per 100,000 women got cancer in 2008, according to age-standardised data. The incidence rate is rising fast in the developing world but is still markedly lower in Africa, where 88 per 100,000 people got cancer, than in North America and western Europe, where 334 and 335 people respectively per 100,000 were diagnosed. Data is not well collected or kept in most developing countries, but the younger age of the population and different diets and lifestyles play a big part. The highest incidence among men in the world was in France and Australia, which had 361 cases per 100,000. Among women, it was Denmark, with 325 per 100,000. The UK rate was 33rd highest among men and 12th for women. Four common cancers are responsible for 45% of the death toll, says the report – lung cancer, which is the biggest killer among men, liver, stomach and colorectum. In the UK, the biggest killers are lung, colorectum, breast and prostate. For several decades, lung cancer has been the most common cancer in the world. In 2008, there were 1.6m diagnoses and the largest proportion – 55% – is now in the developing world, where public smoking bans and advertising restrictions generally do not apply. The declaration to be signed at the end of the UN meeting will call on governments to take action against tobacco marketing. About a quarter of all adults in the world – more than 1 billion people – are thought to smoke. In Europe, male smoking has peaked, but the habit is still on the increase among young women and girls. The UK has the seventh highest lung cancer rate in women among 184 countries with reliable statistics in the world. Breast cancer is by far the most common cancer among women, with 1.38mdiagnoses in 2008, which is a quarter of the total for women. It affects a larger proportion of women in wealthy countries, although the developing countries have high numbers and it is a growing problem there. 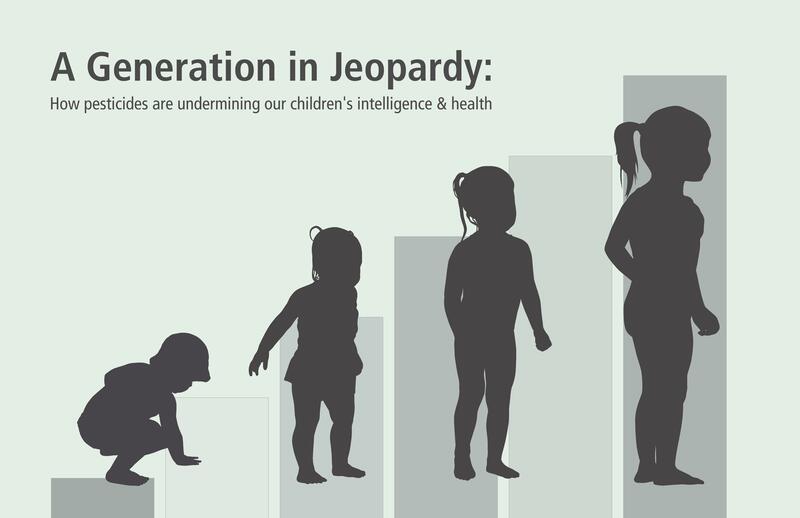 Reproductive behaviour – having fewer children and postponing childbearing, and breastfeeding less – as well as weight, lack of exercise and drinking are all thought to be factors in the rise in cases. Breast cancer is the most common cause of death among women worldwide. Cervical cancer hits developing countries hardest as screening, vaccination and treatment bring the numbers down in the richer world. More than eight out of 10 cases (86%) are now in the developing world, and 88% of the 275,000 deaths. The UK death rate is low, ranked 157th out of 184 countries on mortality rates. But what can I do? Nothing I can do, right? It only takes one 4×4 square foot garden box to supply one adult one full, healthy salad meal per day. A family of four? 2 meals per day? You do the math. We as individuals can make a difference. It’s just a state of mind. Most houses in the UK have gardens. Those gardens are usually a total waste of space, energy and resources. They could be used to grow your own healthy crops. EVERY family discards brown and green carbons EVERY DAY! (sorry – was I shouting? ) these discarded brown and green carbons make fantastic humus. You grow crops in humus. No digging. No weeding. No hard work. You start a never ending cycle. Imagine. Imagine what would happen if a thousand, ten thousand, a million people started to blow the pesticide driven farming industry out the window. Imagine the financial impact. The pesticide and farming industry would sit up and take notice. Radical? Revolutionary? Not really. My father and his father before him used to grow their own vegetables. The difference between now and then? It’s much easier now with modern (refound) techniques than it was back in the old sod-turning, back breaking days. What am I doing? I’m working on it, really. “This topic came up at the Real Farming Conference in Oxford yesterday. All topics lead to the inevitable question, especially the last session held in Merton College, Oxford University, on How can We Rebuild our Soils.